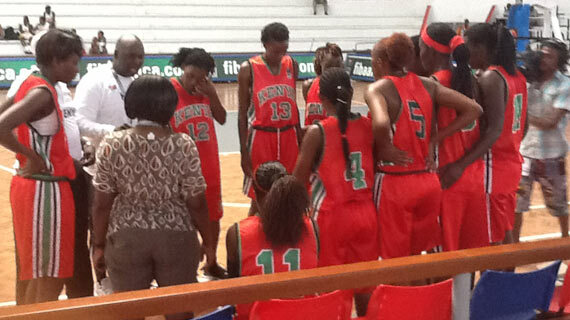 The Kenya Basketball Federation has announced that the pending allowance settle for the Kenya women team will be settled by end of business on Saturday 29th March 2014.This was agreed and announced on Saturday during the Annual General Meeting held in Nairobi. The team took part n the 2013 Afro Basket competition in Maputo Mozambique but are yet to get their allowances over five months later with claims that the money which had been released was diverted to other use by officials. The missing allowances generated so much heat in the past few weeks with national team captain Silalei Shani writing to the federation officials demanding explanation to the whereabouts of the money while another section of basketball players’ representatives wrote to the Cabinet Secretary Dr. Hassan Wario demanding that the Federation officials be held accountable for the disappearance of the money. Silalei this week announced her retirement from basketball citing frustrations and mismanagement at the federation as her main reasons for premature quitting from the sport. As it emerged during the AGM meeting on Saturday, over 100,000 shillings that was to be used as allowances for the players had been diverted to pay a last minute air ticket to one of the team officials. According to KBF officials, each of the team members who travelled to Maputo will receive 10,000 shillings as allowances.